Two years before the outbreak of World War Two the Japanese introduced a new high-level diplomatic cypher that the US named Purple. Purple was a cutting-edge cryptosystem that proved fiendishly difficult to break, using machine-generated cyphertext with a similar level of complexity to the Enigma devices — but unlike Enigma the US were unable to capture any working Purple devices to give them clues as to the design of the system. All they had to go on was underlying patterns in the cyphertext and the cribs (or operational errors) that represented the few chinks in Purple’s armour. 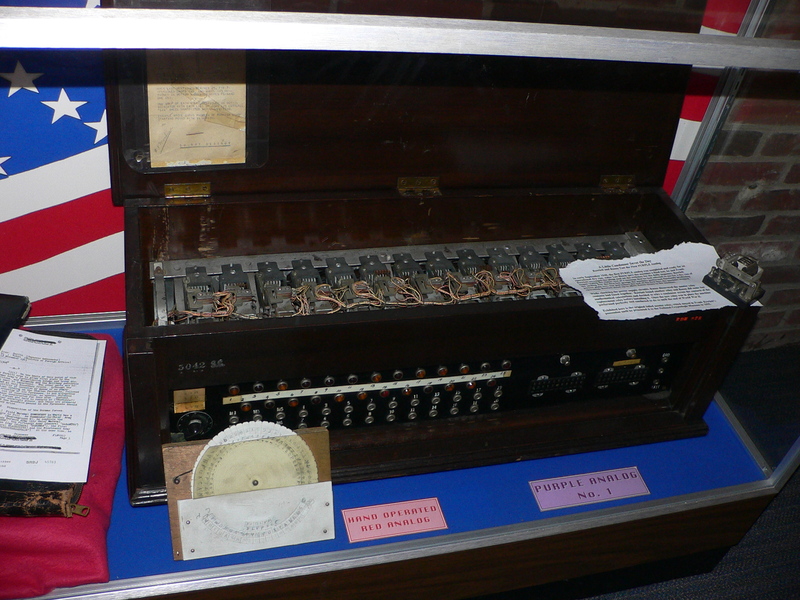 Nevertheless, by 1941 the SIS had constructed an analogous device that successfully decoded Purple messages based on just this information, in effect making a perfect working replica of the Purple device without ever having seen one themselves.